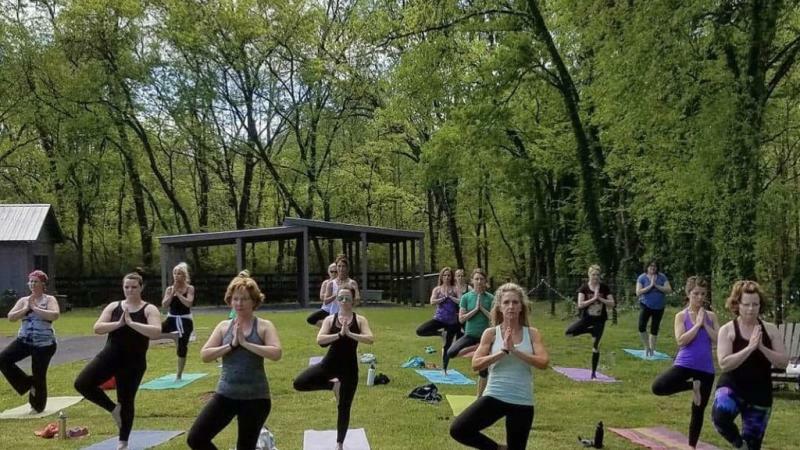 Join us for our spring yoga retreat where you will spend the day focusing on wellness and self-nurturing. 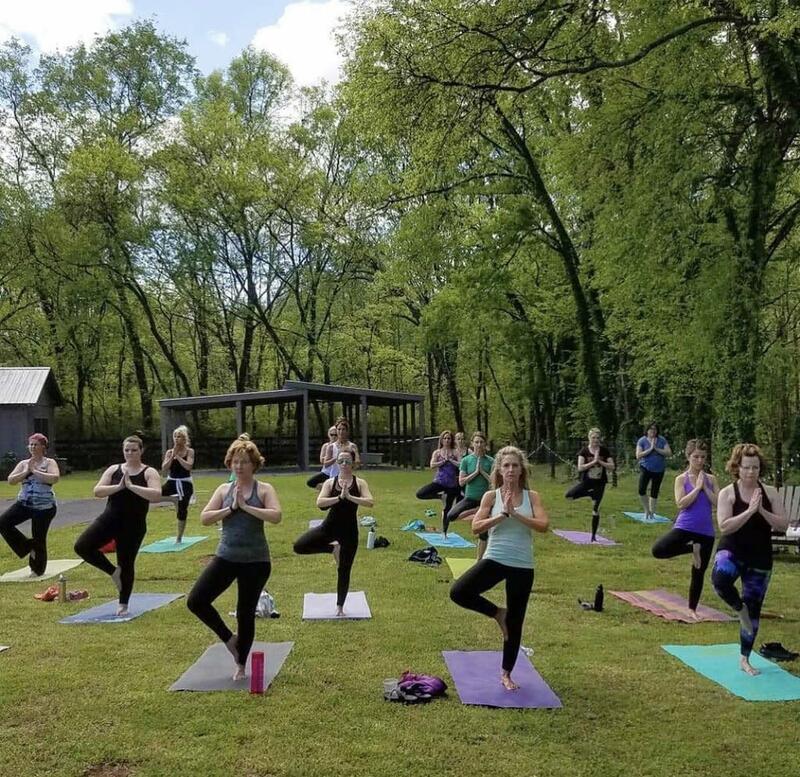 Hosted at 1818 Farms, attendees will participate in three different yoga classes (Vinyasa Flow, Yin, and a Breathe Meditation) all taught by yoga instructor Cathy Lighton. These classes will be spread out during the day. 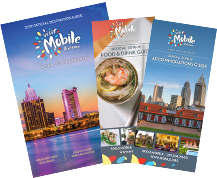 Chef Jakob Reed from Huntsville, AL, will lead an engaging and informative cooking demonstration of healthy dishes, including vegan and paleo options. After the cooking demonstration, a three course lunch will be served. In the afternoon, Natasha McCrary, will lead an interactive make and take session where participants will plant a decorative succulent cup and discuss care and prorogation tips. Participants will also spend time meeting our new lambs and the farm family of 1818 Farms.